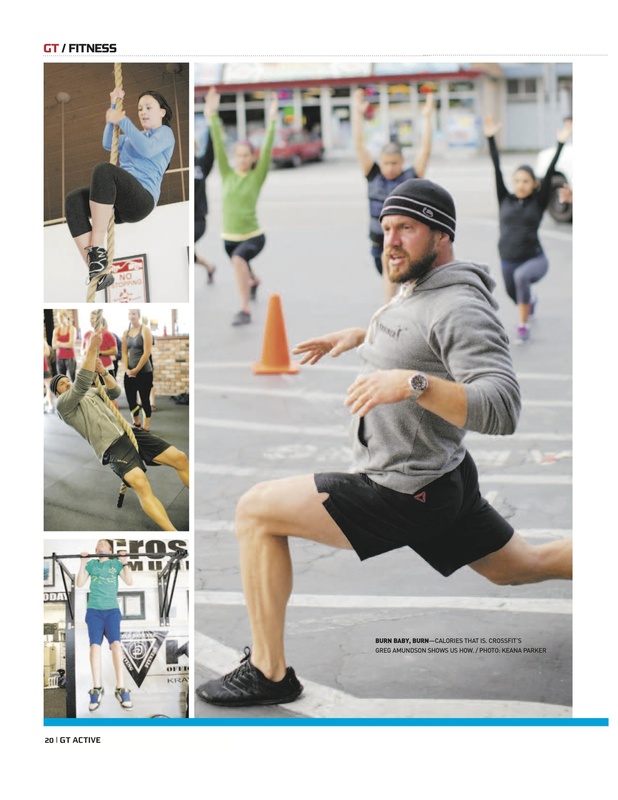 Author Greg Amundson was recently featured on the front page of the Santa Cruz Sentinel newspaper. 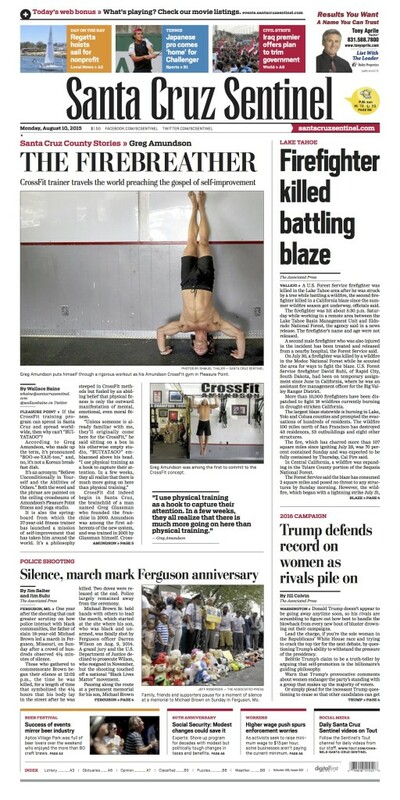 Greg’s gym, CrossFit Amundson, and his book, Your Wife is NOT Your Sister, were part of the front page article. Author Greg Amundson was recently featured in Outside Magazine. 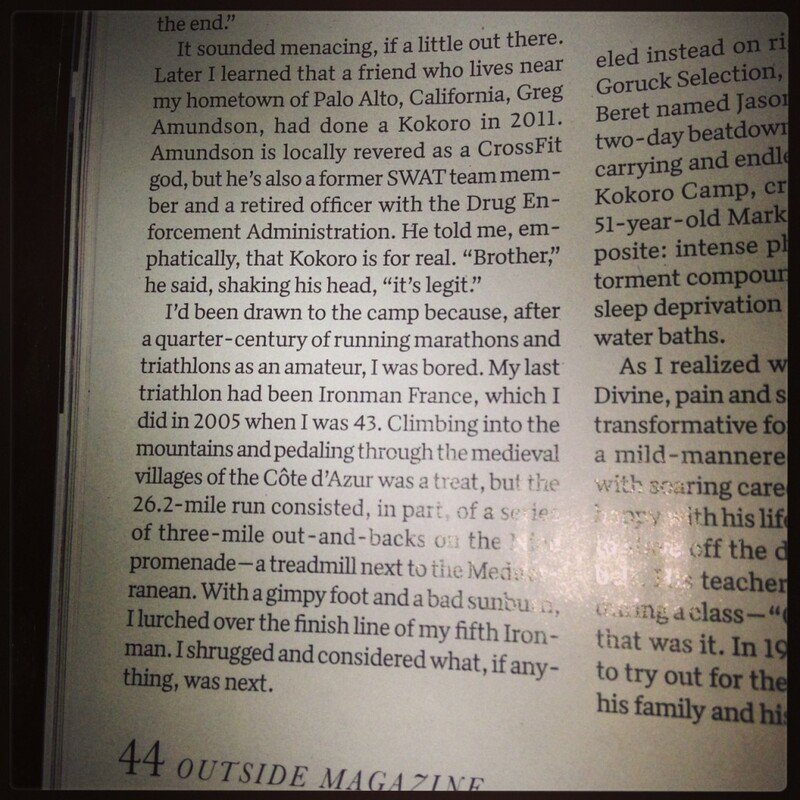 In October 2011, Greg endured the brutal Kokoro Camp which was created by SEALFIT Founder Mark Divine. 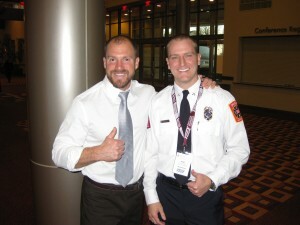 A former Navy SEAL Commander, Divine was is a New York Times Bestselling Author and wrote the Forward to Greg’s book. 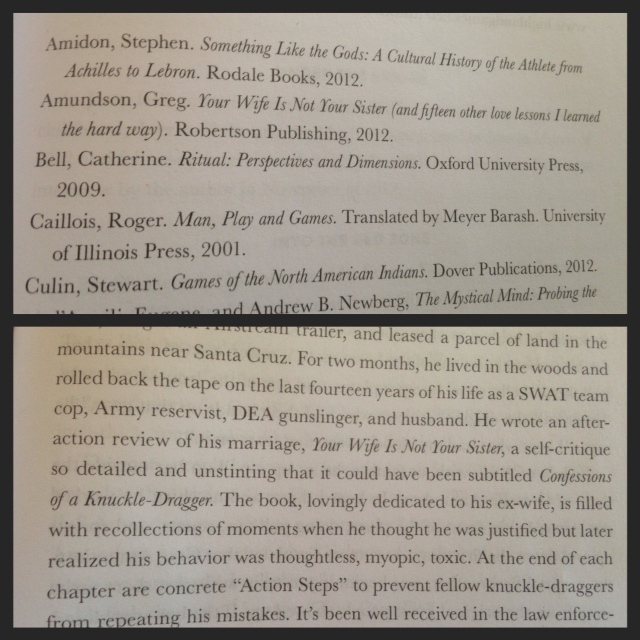 Greg Amundson’s book Your Wife is NOT Your Sister was featured in the bestselling book, Learning To Breathe Fire by J.C. Hertz. One of the most illuminating books ever on a sports subculture, Learning To Breathe Fire combines vivid sports writing with a thoughtful meditation on what it means to be human. 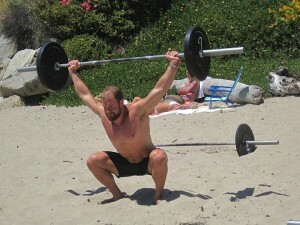 J.C. wrote two chapters on “Original Firebreather” Greg Amundson, and mentions his book on two accounts. 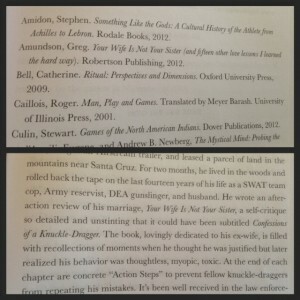 In addition, Greg’s book makes the Recommended Reading list. 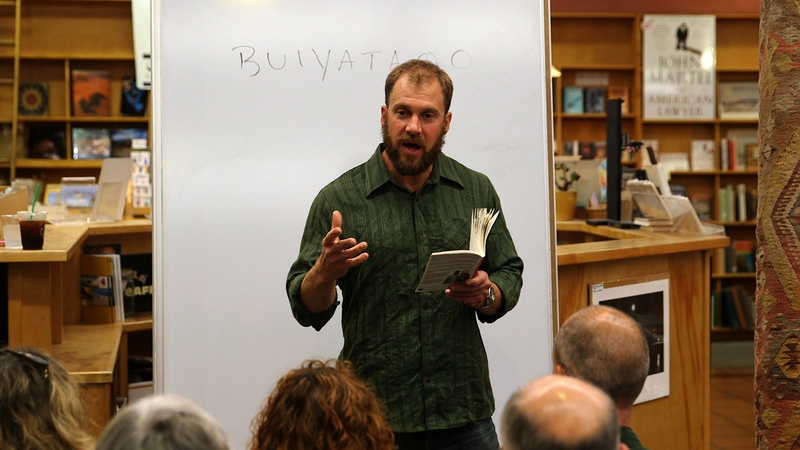 On Tuesday, September 10, 2013, Greg Amundson spoke before a sold out audience at Capitola Book Cafe in Capitola, CA., about the theme, “A strong person must also learn how to strongly love.” The entire lecture was filmed and will be made available on this website! On Tuesday, September 10, 2013, author Greg Amundson spoke in front of a group of over fifty people about his book Your Wife is NOT Your Sister. Greg’s lecture focused on how the Warrior Spirit can be applied to the pursuit of love in a relationship. 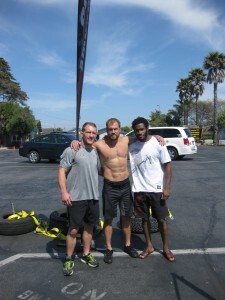 The entire lecture was filmed and will be available soon on this website and on Greg’s CrossFit Affiliate website. Thanks to everyone who attended the special event. 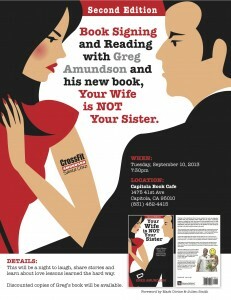 Author Greg Amundson’s book Your Wife is NOT Your Sister captured the hearts of readers around the world. 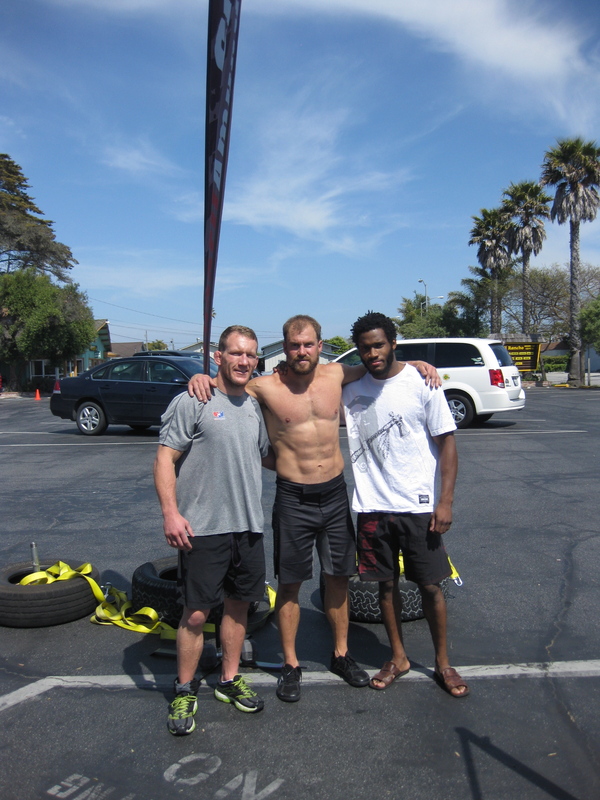 Inspired by the success of the first release, Greg wrote an expanded 2nd Edition to the book, complete with a forward from New York Times bestselling author Julien Smith (author of the book The Flinch) and Navy SEAL Commander and SEALFIT founder Mark Divine. Greg’s 2nd Edition is Now Available! In preparation for the release of the 2nd Edition to his book Your Wife is NOT Your Sister, author Greg Amundson is speaking around the country at Law Enforcement agencies and Police Academies. 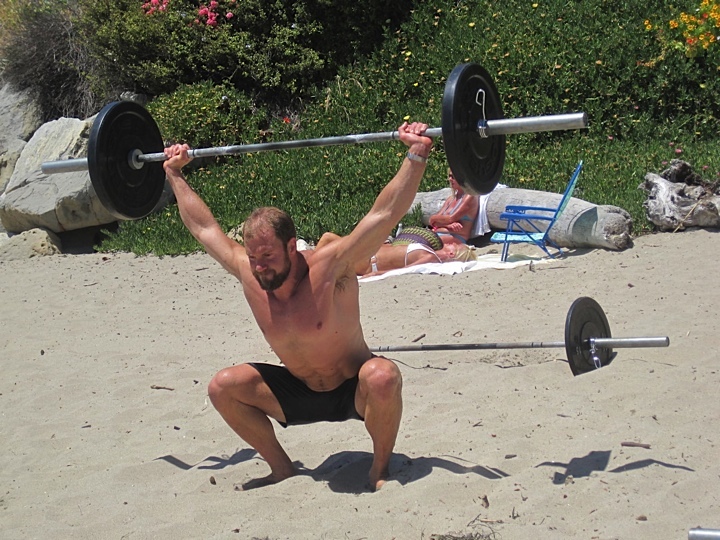 Greg combines a CrossFit workout with a short lecture on the Warrior Spirit to inspire new Police Recruits that a, “Strong person must also learn how to strongly love.” Greg recently spoke before a Recruit Class at the Los Angeles Police Academy. 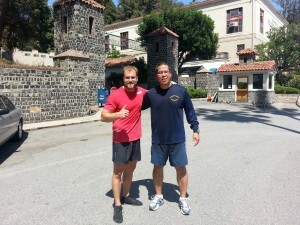 In this photograph, Greg and Eric Quan, the Lieutenant in charge of Police Training at the LAPD Academy, pose before the famous LAPD Academy gates. 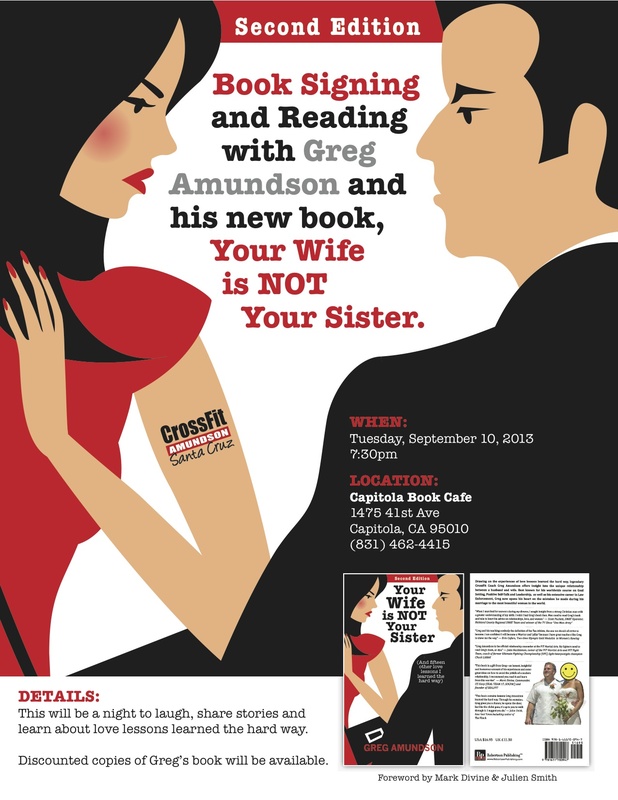 In this video, author Greg Amundson reads Lesson 14 from his book Your Wife is NOT Your Sister. Greg speaks frequently around the country at Firefighting and Law Enforcement Leadership Events on topics including the lesson that, “Strong people must also learn how to strongly love.” Sadly, the Public Safety and Military professions suffer from some of the highest divorce rates in the country. Greg hopes the lessons in his book educate these professionals on how to serve both in their relationships and their communities.